Yesterday we got some pickup shots for Nobility. It was a pretty easy day, as we only had a couple shots to get to cover some newly rewritten dialog. Small crew, one set. Our original director was not available, so our 2nd Unit Director Alex Vesely stepped in and did a great job. We should have two more pick up days coming up in the near future. 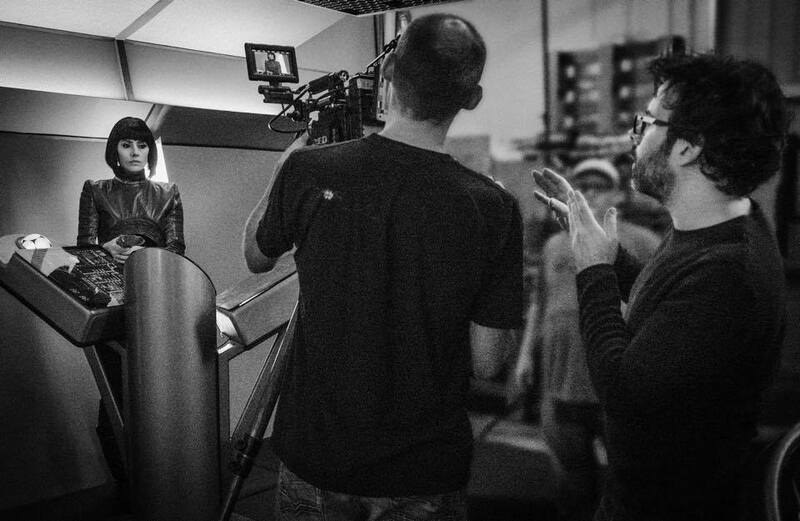 Behind the scenes shot as Alex (right) directs Adrienne Wilkinson. Here are a few more screengrabs from At the Edge of Time. I always enjoy shooting on multiple locations instead of being stuck inside a soundstage for a whole shoot. Locations add a bigger scope to a film and bring all sorts of new colors and textures that help to create a more fully developed universe for the characters to inhabit.